…vodka is just vodka, right? Vodka might just be the simplest alcoholic beverage of all. A distillate of fermented grain or potatoes, without any exotic processing, barrel aging or such fuss. Even though my native Sweden is considered to be a part of the vodka-belt, here this drink has gone under the name “brännvin” (burnt wine) for hundreds of years, only recently adapting to international terminology in the wake of Absolut fame. Usually the brännvin was infused with different spices, and a large assortment of such beverages still exist, traditionally being consumed at different seasonal feasts. With a growing interest for exclusive vodkas around the world, it´s hardly surprising that artisanal small batch distilleries has sprung into existence here in northern Europe. This actually being my very first attempt at a vodka tasting, we´re going to try three high-profile vodkas – 2 from Sweden and one from Iceland. 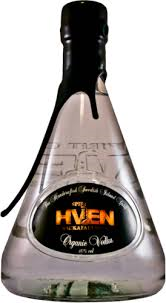 Spirit of Hven Organic Vodka, 80 proof (40%). Handcrafted by the Molin family, owners of the Spirit of Hven distillery on the island of Hven, between Sweden and Denmark. I´ve mentioned one of their single malt whiskies in an earlier post. The vodka is made from organic wheat using a copper pot still, and spends some time in oak barrels before the final distillation. Bottled by hand without any filtering, colour correction or additives. Of course, the style of the bottle is their own, with a slightly impractical conical shape and a seal of running wax covering the cork. The drink is clear without any colourations, and after a few hours in the freezer has a slightly oily consistency. The nose has some alcohol esters in it giving an aromatic fruitiness, along with oily, almost solvent-like notes. Probably thanks to the oak barrels, you get an unusually flavourful vodka, with elegant sweetness and an oily mouthfeel. The finish is long and shows some fading black pepper. Spirit of Hven vodka actually has more similarities to the gin made by the same distillery (more about that later) than with other vodkas I´ve tried. Showing a very distinct character there´s much to like here, although you´re definitely in strange territory. If it should be seen as a tweaked vodka or as a category of it´s own could be debated. 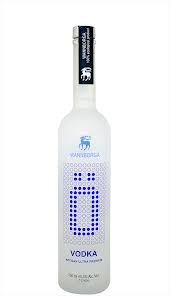 Wannborga Ö Vodka, 80 proof (40,3%). Manufactured by the Wannborga distillery, that´s also been mentioned here before. Distilled from organic grains, mostly wheat and with a touch of barley, in a pot still. With batches of just 150 liters, yielding about 15 liters of 140 proof spirits, this can truly be called a small batch vodka. A few words about the bottle. With Absolut Vodka´s success in mind, every producer tries to make the design of their bottles both unique and instantly recognizable, making experiments in shape and size common. Wannborga goes for a slim, elongated bottle too tall to fit in a regular cupboard. Quite nice-looking but not so practical. The look of the brew is clear and light, no colourings or impurities. The nose has a clear grain character with just a hint of esters. On the palate you get a very smooth, clean and creamy grain taste with some malted barley sweetness and hints of fruit. The finish is medium long with some burn. Quite elegant and manages to balance the neutral grain taste and the hint of sweetness. Reyka Vodka, 80 proof (40%). Now for something a bit more exotic. 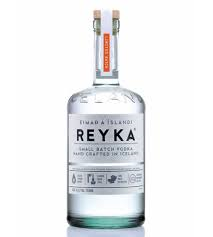 Reyka, started by William Grant & Sons Ltd, began production in 2005 as Iceland´s first privately owned distillery. Like many of the other Nordic countries, Iceland has through history had a problematic view of the production and sale of alcohol. Together with Sweden, Norway and Finland, Iceland has a government monopoly on selling alcoholic beverages mostly sprung from health concerns, perhaps understandable given the long history of widespread binge-drinking in all the Nordic countries. In an effort to alleviate the ill effects of drinking, the Icelandic parliament put in place a total prohibition of all alcohol in 1915, mitigated in 1935 when the consumption of spirits was again allowed. However, beer with an alcohol content higher than 2,25% was still banned until 1985, making the practice of strengthening low alcohol content beer with distilled spirits common. Nowadays Iceland has an active beer-brewing community with many very special brews, as well as the internationally noted Reyka vodka. The distillery is located in the small coastal village of Borgarnes, located some 45 kilometers north of the capital Reykjavik. Like most of Iceland the countryside is pretty harsh and dominated by lava rocks. During my almost ten years of residency in Iceland, me and the wife passed this little village numerous times on the way to her parents in the north, regrettably without ever visiting the distillery. The perhaps most important ingredient in this vodka is the crystal clear and extremely pure glacier water used in its production, filtered through a 4 000 year old lava field. I seem to remember some newspaper story of the chemistry department of Columbia University questioning the reliability of their analytical equipment after trying to find impurities in samples of this water. So clean it seems improbable, unless you´ve actually been living there and has experienced it yourself. Ok, almost every spirit produced has some story about its water, this particular one just happens to be true. Distillation is made in a Carter head still, of which there exists only a handful worldwide. Used to produce both the Hendrick´s and Bombay Sapphire brands of gin, the idea is to get a less crude alcohol than from an ordinary pot still, while being able to infuse the alcohol vapour with botanicals through a perforated copper basket located between the column and the condenser. For Reyka vodka the basket is filled with lava stones. The production is truly small batch, and uses only clean geothermal energy. So, what are we getting? A pretty chunky bottle feeling reliably heavy, telling us its contents were distilled in Iceland. Poured in a glass the colour of the drink is clear and sparkling like spring water. The nose has an extremely clean and crisp grain character, absolutely clear of traces of distillate head or tail. It´s character is rock solid, and stays unchanged through repeated sniffing. Upon tasting you get a remarkably pure and dry grain note and a split second of sweetness in the middle, giving way to a lingering, dry finish with a light burn. Very honest and pure, just like a premium vodka should be. Drinking this makes me remember the feeling of just having crawled out of my tent on a chilly morning in the Icelandic highlands. An experience to cherish. This entry was posted in Food & drinks and tagged Iceland, Premium vodka, Reyka vodka, Spirit of Hven, Wannborga on June 1, 2014 by danolofohman.